This year’s GCSE pupils have achieved Ryde School’s best ever results. I am delighted that so many pupils achieved their full potential. The school’s statistics are excellent: 52% of entries were A* or A grades; 95% of all entries were above a C grade; 96% of pupils achieved 5 A*- C grades, including Maths and English; 85% of pupils achieved 5 A* – C grades including Maths, English, a Science and a Modern Foreign Language. This year’s highest performers were: Joe Buckwell with 10 A* grades, then Emma Gillett, Ben Jarman, Eleanor Ness and Hena Ramdany, each of whom earned 9 A* grades and further A grades. Close behind, with an average score of 10 A grades or better were: Hayley Allen, Angus Brown, Ciaran Clarke, Will Duxson, Sarah Flanagan, Lucy Grubb, Alex Leung, Sarah Mitchell, Dominic Mortimer, Victor Nip, Isabelle Parkes, Ieuan Perkins, Robert Phillips, Jack Philipsborn, Matthew Pugh, Amabel Richardson, Ed Sanders, Mark Scaife, Harriet Sharp, Ella Symons, Joe Urry and Richard Vaughan. 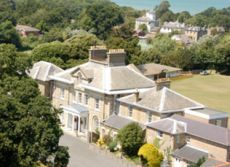 About a third of Ryde School pupils achieved this distinction.